Health & Tech is a regular feature highlighting life sciences and high-tech companies throughout the region. Address: 875 Ellicott St., Buffalo and Toronto, Ont. Description: The company uses real-time surveillance technology and data analysis to prevent the spread of infections and improve patient safety in hospitals. Lowdown: The company, founded a decade ago following the SARS virus scare, has in the past year fundamentally changed its business model, won a $250,000 prize in a major business competition and seen its CEO to leave. For Toronto-based Infonaut, Buffalo marked its entry into the American market. The company joined the state’s Start-Up NY tax-free-zone program in January 2015, envisioning employing as many as eight by the end of last year in its office in the Jacobs Institute on the Buffalo Niagara Medical Campus. That didn’t happen, and instead the company is in the midst of big changes. Infonaut’s founders, who started the company in the wake of the SARS crisis, were thinking about how to prevent the spread of illness in hospitals. Their approach begins by using real-time tracking – including swabbing items – to gather data on the spread of infection and germs among the staff, patients, visitors and equipment used in a health-care system, said Tom Quinn, who was until Feb. 1 the company’s president and CEO. After collecting, sorting through and analyzing this data, Infonaut recommends from among 50 interventions to its health-care clients, primarily large hospitals on either side of the border. The recommended responses go well beyond just having doctors and nurses wash their hands, of course, Quinn said. And a key is to continue real-time surveillance after the recommendations are put in place, to make sure they are being followed and they are having an effect. “What you really need to keep an eye on is behavior, because what you need is behavioral change that is persistent,” Quinn said. Quinn is a veteran entrepreneur who joined the company in January 2015 to help establish Infonaut’s Buffalo operation. The Buffalo-area native had launched four startup companies previously, all out of town, but had sought an opportunity to return to the region. He also joined Wallace, the founder, in reshaping Infonaut’s business model. Previously, Infonaut billed clients a fee per hospital bed, per month for its services. But, based on feedback from potential clients, and its investors, Infonaut last summer decided to switch to a model of charging a percentage of the savings the company generates for its clients by preventing infections, Quinn said. That means Infonaut has to prove the value of its services. This model of paying for outcomes is common in health care, he said. One previous client, a hospital system in the United States, paid Infonaut $200,000 for its services and later calculated that Infonaut had saved it $1.9 million, a figure the hospital reached when it looked at its treatment of hospital-acquired infections, patient readmissions and average length of stay for its patients, Quinn said. Today, Infonaut has one Canadian client and one American client, both hospital systems, and is negotiating the terms of its contracts with them. In November, Infonaut was granted a $250,000 third-place prize in the 43North competition after another company, GetGems, declined the prize. And by the end of January, Quinn had agreed to leave the CEO’s job to become president of Baton Pharma, based in Toronto. He remains a shareholder, investor and strategic advisor to Infonaut. 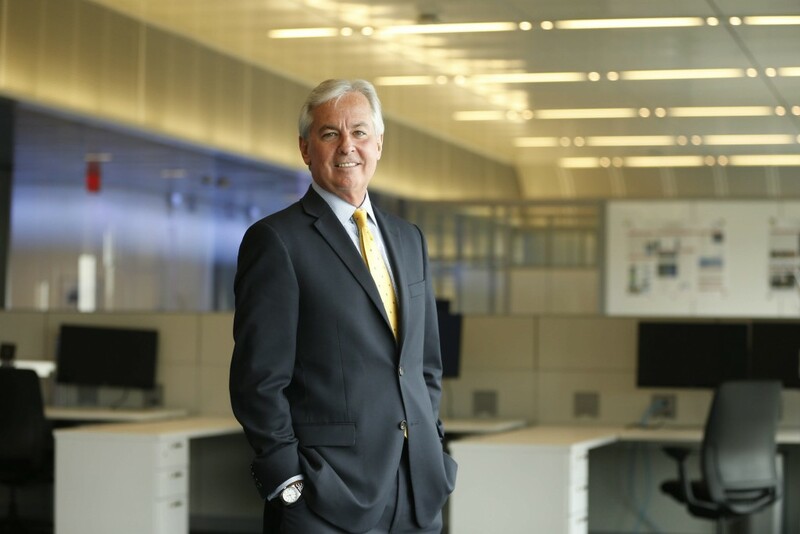 Wallace, now acting CEO, is moving from Toronto to Buffalo, where he splits time between 43North space in the Innovation Center and the Jacobs Institute. Infonaut has one employee — Wallace — but plans to hire a second employee by the end of spring and a third by the end of summer.